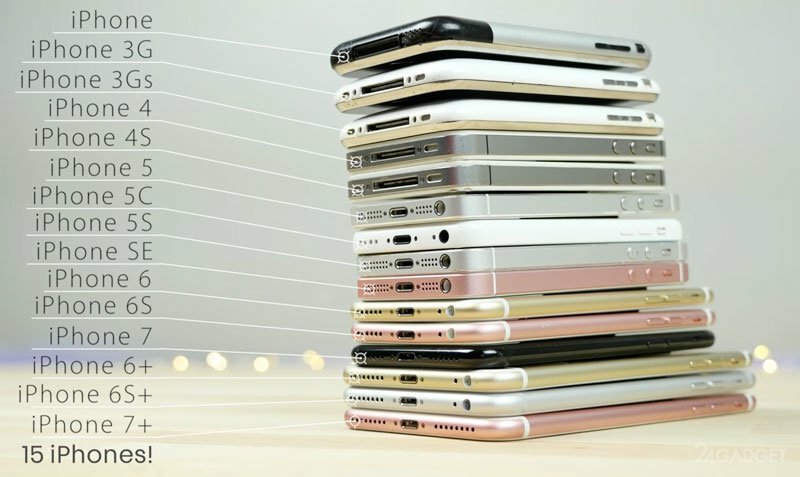 With the emergence of new models of iPhone, the previous models do not turn into a pumpkin, and long continue to be useful and irreplaceable assistants for their owners. Analytics marketing research firm Newzoo conducted a market analysis of sold and of smartphones and came to the conclusion that slightly less than two thirds sold for decade iPhone is still in working condition and continue to be operated by users. Most recently, in late 2016, Apple sold its billionth smartphone, and already by March 2017 total number of sold iPhone reached 1163 million units. According to estimates in April 2017, there are about 62.6% of iPhone devices, which amounts to 728 million smartphones. With its share of world sales is 15%, products of the Apple is 25% of the total smartphone market. This figure has been achieved thanks to the durability and reliability of the iPhone. The leader among the countries where the largest number of working iPhone, is China. Residents of China have purchased and exploited at the moment, more than 228 million (31.3%) of smartphones “Apple” of the Corporation. Second place among the mass fans of smartphones iPhone is the USA, where almost 120 million (16.4%) devices. Model range the most popular smartphones from Apple heads seized more than one-fifth of iPhone market iPhone 6 (21%), which was sold in 2014. Followed by iPhone 6s — 18%, iPhone 7 — 11%, iPhone 6 Plus — 9% and iPhone 6s Plus — 8%. You are reading an article on the Two-thirds sold for 10 years the iPhone will continue to work. All materials on the site Gadgets F, а также и статья Two-thirds sold for 10 years the iPhone will continue to work - written for the purpose of information enrichment and we are happy if you like our magazine.